Third-grader Donoven Cruz tries out his eclipse glasses with classmates while looking up at a projector light at Gotsch Intermediate School in Affton. The total solar eclipse gives local schools a stellar opportunity to teach science. But school districts also have to make sure their students stay safe when staring at the sun. “What an absolutely, incredible way to start off the school year, by having this real world, once in a lifetime experience,” Parkway School District science curriculum coordinator Stephanie Valli said. An opportunity, sure, but also a challenge for those that’ll stay open. Teachers must safely shepherd hundreds or thousands of students out of the buildings and make sure they keep their glasses on. But it’ll be worth it, former school administrator Karen Hargadine promised. She’s a volunteer with the St. Louis Eclipse Task Force, a group that’s been getting people excited — and getting them ready — for the eclipse. “Maybe this will be a great, great activity and experience for kids that may decide they want to be an astrophysicist, or an astronaut,” she said. Teachers are designing age-appropriate activities for their students, and the Missouri Department of Elementary and Secondary Education put together possible lessons. Third-graders at Gotsch Intermediate School in Affton work on an eclipse project Thursday. “There’s so many things you can do with light and shadows in the sun and moon in general. If you’re in an area with cement, you could make yourself into a human sundial,” said Erin Tyree, program manager of the Challenger Learning Center in Ferguson. Other ideas include measuring temperature fluctuations or a drop in energy collected by a school’s solar panels. The eclipse task force gave 154,000 pairs of eclipse glasses to 374 schools, a tally that doesn’t include schools that purchased them on their own. Not being in the path of the totality (i.e. where the moon will fully cover the sun) isn’t stopping David Dempsy from making sure his students get the full show. He’ll pile 196 Highland, Illinois, fifth-graders onto charter buses for a two-hour drive south to a state park. 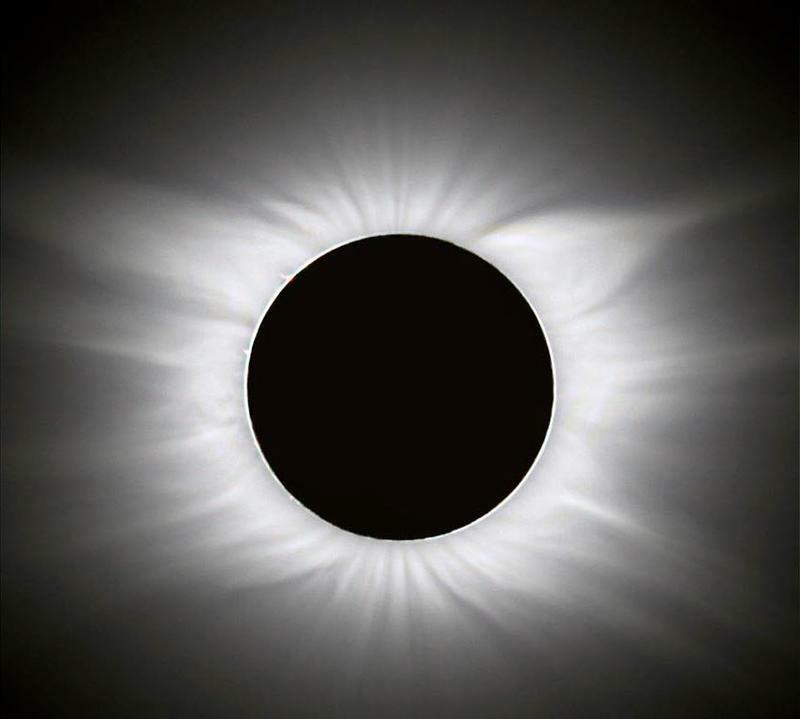 “I can't wait to see their eyes open wide and jaws drop as they experience totality,” he said. And if the sun doesn’t shine? Students and teachers will have a different look on their faces. If it does, teachers have a backup plan. They’ll likely watch a NASA live stream of the eclipse from some place where it’s clear. Gotsch Intermediate School teacher Emily Burst shows her students how to properly put on their eclipse glasses. A total solar eclipse comes around less often than a blizzard or a heat wave, but some area districts are erring on the side of caution, closing schools for an eclipse day. 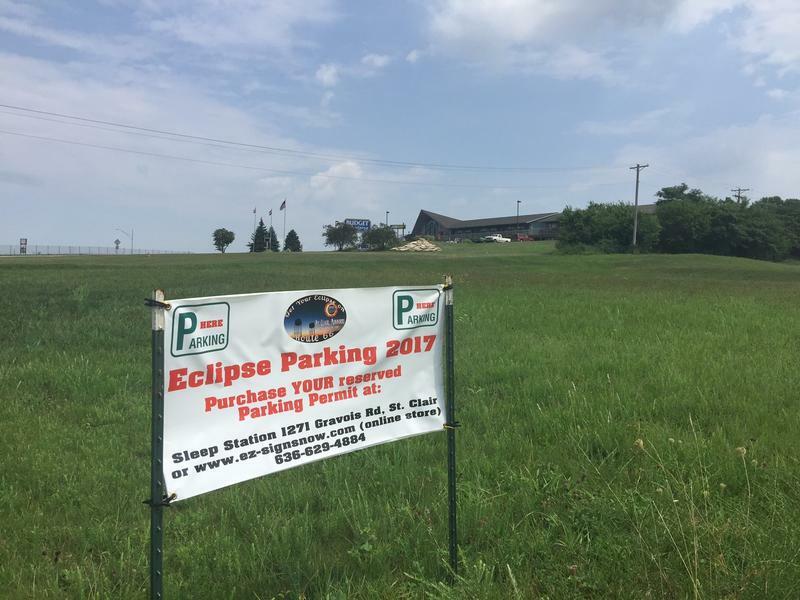 That’s especially true for at least a dozen districts in Franklin and Jefferson counties near the center of the path of totality, which is expected to attract a lot of visitors and a crush of traffic to rural towns. Fox School District Superintendent Jim Wipke said he wanted to have school, because the eclipse is a great learning opportunity. Wipke said students will take home viewing glasses. Those glasses are key when it comes to safely view the eclipse. And safety is the main concern for the Edwardsville School District in Illinois. The three-hour eclipse doesn’t end until a little before 3 p.m., when students are on their way home, and administrators are worried the kids will hurt their eyes. “About two-thirds of our children board buses, and we’re responsible for them in that time as well as — until they actually walk into their homes at the end of the day. And that’s a huge responsibility that we take very seriously,” Superintendent Lynda Andre said. Saint Louis University High School sophomore P.J. Butler holds a glow-in-the-dark shirt at a back-to-school event on Wednesday. Saint Louis University High School is also outside the path of totality. But Principal Ian Gibbons said “the majority, strong majority of our students, live in totality,” so he closed the school. “We’re about to get like a minute-and-a-half of totality, and I’m having some family over to view it,” Butler said. 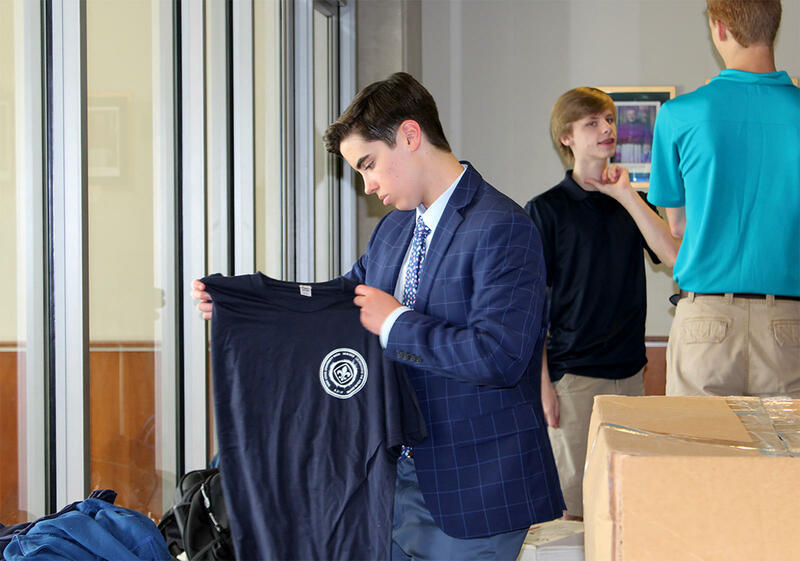 SLU High also is connecting students who don’t have a good spot to see the big event with classmates who have prime views.